Enjoy Morocco team organise Casablanca private tour with experienced drivers and local friendly guides. Today we will welcome your by our experienced driver /guide in the airport of Casablanca and we transfer you to local city hotel for overnight. (Optional city excursion available). DAY 2: Casablanca – Rabat – Chefchaouen. In the morning we start our 9 days adventure tour from Casablanca with visiting the biggest mosque in Morocco Hassan 2 Mosque. After exploring main sights we continue to Rabat where you discover best sights including Bab Challah, also Mausoleum of Mohammed V and we visit amazing Oudaya Kasbah. After lunch we drive to the blue city of Chefchaouen via Ouazane. We explore medina and you will walk inside the blue alleys , overnight in the local hotel. Today we leave Chefchaouen, we drive across the Rif Mountains to Ouazane then we explore Meknes former Imperial city and Volubilis Roman ruins. We spend the night in Fes in local riad. After breakfast our 9 days Morocco Tours & Vacation Package starts with exploring Fes as the oldest city in Morocco. We enjoy adventure walking in its alleys and we discover the Royal Palace gate, then Al Qaraouine University, the oldest one in the world, and you visit fascinating Tanneries. We invite you to visit Moulay Idriss mausoleum and after free program afternoon you spend the night at the same riad. After breakfast, we travel from Fes to explore Ifrane city, then we explore the cedar forest on the middle Atlas Mountains. During this journey you’ll experience glimpses of the Middle Atlas near Azrou. We pass few Berber villages to reach Midelt and after lunch here we travel through the fascinating Tiz N’Talghamt pass and Ziz Gorges. We pass Errachidia and we visit fossils factory in Erfoud. We arrive in Merzouga in the afternoon and we take adventure camel ride in the sandy dunes of Merzouga. Afetr 1 hour we reach the Sahara camp where you will have dinner and we spend the night in tents. Today we watch desert sunrise in Sahara followed by camel-trek back to the village and after breakfast we visit Rissani and its local souk, then we continue to Tinijdad and Tinghir. You will explore best of Todgha gorges as the highest, narrowest gorges in Morocco. After lunchwe continue to Dades Valley, where we explore and take pictures of rock formations known as “Monkey toes”. Enjoy dinner and overnight accommodation in kasbah or riad in Dades. Today after breakfast we explore Dades Valley and we continue towards Ouarzazate via the road of the thousand Kasbahs and Skoura. We will stop at Kalaat M’Gouna which is the centre of rose’s valley, we explore Ouarzazate studios and kasbah. Then on to Marrakech via the Unesco kasbah of Ait Benhaddou built by Et Hami El Glaoui, one of the last Berber chieftains during the 19th century. We continue through the Tizi n’Tichka Pass over the High Atlas Mountains. Overnight accommodation in Marrakech city. 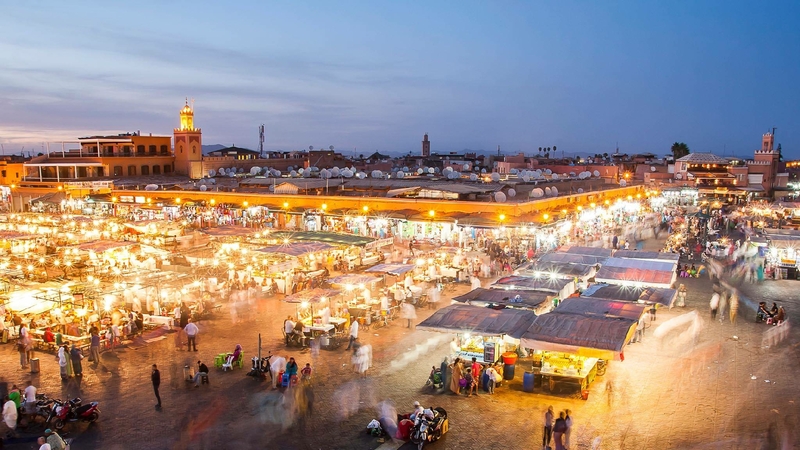 Enjoy full day of exploring Marrakech the red city of Morocco. We will explore and visit all the most important sites of historical and cultural interest. It includes the Menara and Majorelle Gardens, then Saadian tombs, and the Bahia Palace. Overnight in local riad. Every Casablanca trip and Tour is a 100% private Tour, contact Enjoy-Morocco by email at enjoymoroccoinfo@gmail.com or Phone / WhatsApp us at +212 651-281903. Thank you. 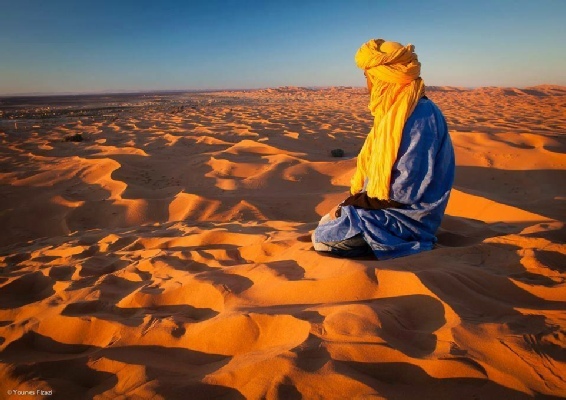 We offer ten days travel from Casablanca to explore best dunes in Merzouga in guided Tour to Fes, and we explore deeply Marrakech medina.